This part of the data protection statement applies to private users of Viessmann Services. The legal basis for processing your data is based on your consent to this data protection statement as consent or in order to be able to provide you with information, services or products requested in accordance with DSGVO Article 6 Para.1 lit.b). If you provide us with personal data, we use it to answer your questions, to process and carry out your consultation request, for technical administration, for login activities and the services provided within the respective websites or apps. The legal basis for this is Art. 6 para. 1 sentence 1 b DS-GMO or your consent. You can revoke your consent to the use of your provided data at any time. To do so, please contact: dataprotection-uk@viessmann.com, stating the service(s) used if possible. If you have given us your consent for such use but no longer wish to receive advertising or surveys from Viessmann in future, you can revoke your future consent at any time. Your data will then be deleted or, if it is still required for billing and accounting purposes, stored for these purposes. 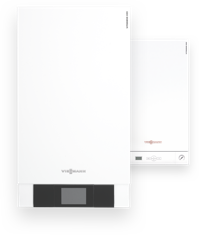 Please send an e-mail to dataprotection-uk@viessmann.com. Stored personal data will be deleted if you revoke your consent to its storage, if it is no longer required for the purpose for which it was stored or if its storage is inadmissible for other legal reasons. Please contact dataprotection-uk@viessmann.com. Your data will then be deleted or, if it is still necessary for verification, billing and/or accounting purposes, stored for these purposes. This data protection statement applies exclusively to the Viessmann websites and apps. These may contain links to third-party websites. This data protection statement does not extend to these. If you leave the Viessmann websites and apps in order to visit the services of a third-party provider, we recommend that you also carefully read this provider&apos;s data protection statement. The processing of personal data through cookies and analysis tools (Google Analytics and Google Tag Manager, Google Adwords Conversion Tracking, Third-Party-Cookies, Re-Targeting-Technologies, Google Remarketing, VWO, Facebook Remarketing and Inspectlet) is based on Art. 6 Para. 1 lit. f DSGVO. This authorisation allows the processing of personal data in the "legitimate interest" of the person responsible, provided that your fundamental rights, freedoms or interests do not prevail. Our legitimate interest is to analyse the use of our website. Data is collected and stored on this website by the web analysis service Inspectlet. Usage profiles are created from the data using pseudonyms. They are used to analyse visitor behaviour and are evaluated to improve the handling of our website. Cookies (small text files) may be used for this purpose, which are stored locally on the visitor&apos;s computer and thus enable recognition when the user visits our website again. In order to comply with the rights of affected DS-GMOs, it may be necessary for Viessmann to request further information to prove your identity in cases of personal data collected on the basis of contractual relationships on a random sample basis or in cases of justified doubt. This is especially true if a request for information is available in electronic form, but the sender&apos;s details do not reveal the identity of a natural person concerned. Due to further development of our website and services offered above or due to changes in legal or official requirements, it may become necessary to amend this data protection statement. You can call up and print out the current data protection statement on the website at https://www.viessmann.co.uk/data-protection at any time.